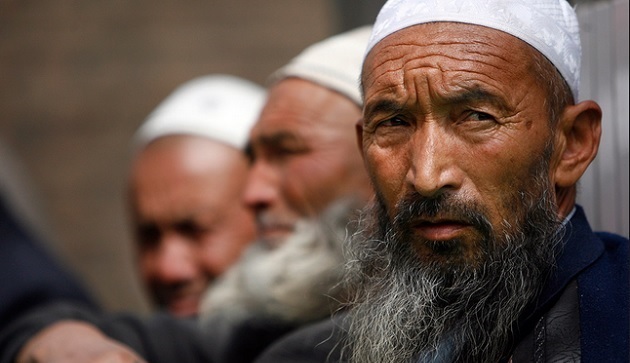 Muslim Uighurs in China have been subject to government-sponsored mistreatment. If you think Muslims in the United States and Europe have it difficult, living in countries that are more socially unfriendly to the Islamic community than officially oppressive, imagine the plight of Muslims in China — where the government itself is subjecting Muslims to the kind of discrimination and civil-rights abuses that the U.S. government subjected Black Americans to under its infamous “Jim Crow” laws decades ago. In the western district of Xinjiang, the Chinese government has made it unlawful for civil servants, students and teachers to fast during Ramadan, the Islamic holy month in which all Muslims who are physically capable abstain from food, drink and sexual relations during daylight hours. The anti-Muslim stance from China’s government is believed to stem from terrorist attacks in recent years that have been blamed on Uighur separatists, although those groups denied involvement. Meanwhile, halal restaurants in the Xinjiang district are being “encouraged” by the government to remain open during daylight hours, and Muslim-owned shops that typically don’t sell alcohol or tobacco during Ramadan are reportedly being ordered to continue selling those products or risk being shut down. On social media, there have been posts showing Chinese government officials force-feeding people during Ramadan, and harassing and physically abusing Muslims trying to fast, pray or otherwise practice Islam. 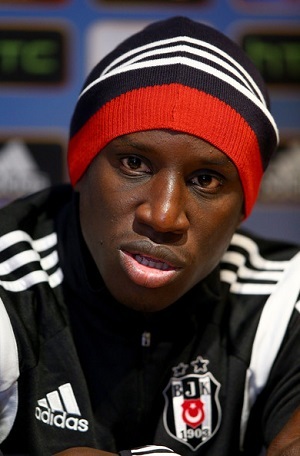 Into this climate of oppression and Islamophobia steps Demba Ba, international soccer star and a practicing Muslim. Last week, Ba joined the Shanghai Shenhua club via transfer from his previous club, Besiktas in Turkey. Ba played one season for Besiktas after coming over from Chelsea in England’s Premier League, scoring 27 goals in 44 appearances for the Turkish club. The 30-year-old Senegalese French forward played arguably the best soccer of his career and thrived while living and working in a Muslim-majority country. Ba is also one of the world’s most openly religious high-profile Muslim athletes. He celebrates each goal by making the sajdah prostration to Allah [swt]. He has taken TV interview crews along with him to the mosque for the early-morning Fajr prayer. His Twitter timeline is sprinkled with supplications and religious comments. And now Ba heads to China on a three-year deal, where it seems he would be unwelcome as a Muslim — at least in certain parts of the country. And he’ll be joined by Mohammed Sissoko, a 30-year-old Malian French midfielder who previously played for Levante in Spain. Ba and Sissoko aren’t the first Muslim soccer players to get jobs in China, and not the first to play for Shanghai Shenhua. (It should be noted that while the Xinjiang district is on the far west side of the country, Shanghai is on the far east side.) French forward Nicolas Anelka played for the club in 2012, and was so respected that he was added to the coaching staff as a player-coach during the season. Anelka left the team after one season when he was loaned to Juventus in Spain. There was one mini-controversy involving Anelka during his time in China which may or may not have been related to his religion. It is custom in Chinese soccer for players to bow to their fans in gratitude after a match, especially when the team is on the road and their fans (presumably) traveled to support them. After a road loss to Qingdao Jonoon, Anelka did not join his Shanghai Shenhua teammates in the post-match bow, which angered one fan to the point where the fan later confronted Anelka at the team’s hotel. Anelka’s reason for not bowing to people may be rooted in the same value that prevents some Muslims from pledging allegiance to a flag or standing during a national anthem — the belief that no man or man-made item should be worshiped or put on the same level as Allah [swt] — or it may have been a simple moment of frustration following a tough loss. But other than that, there are no reported incidents involving Anelka and an anti-Muslim government, media or fan base in China. If China’s two newest Muslim soccer stars are ultimately treated better than the average citizen, it would certainly not be a surprise. Celebrities often operate under a different set of societal rules than the people who make them famous. And considering that Shanghai Shenhua reportedly paid about $15.4 million for Ba’s transfer fee and will pay him about $6.5 million in annual salary, the club has plenty of reasons to make sure the star player’s life off the field is as pleasant as possible. But even if Demba Ba’s own road is paved for an easy walk, how much will the plight of his fellow Muslims in China weigh on his mind? Will it be a distraction for him on the field? Will he use his clout as a celebrity and sports hero to bring global awareness to the government’s mistreatment of Muslims? Will he use his money and power to fight against it? Justice is a common theme in the Quran and in the hadiths, and Allah [swt] has made it clear that Muslims should speak up — and fight, if necessary — against injustices they witness. Elite athletes are trained — and many are simply wired — to maintain a sharp focus no matter what is happening around them. That ability is what allows Jordan Spieth to make a pressure-filled putt with one million dollars on the line and thousands of people watching. It allows Cam Newton to thread a football through two fast-moving defenders trying to intercept it while ignoring two larger, fast-moving defenders trying to knock him off his feet. It allows Henry Aaron to break Babe Ruth‘s career home run record in the face of death threats, racial discrimination and, oh-by-the-way, Major League caliber pitching. A Muslim athlete can live and work and succeed anywhere on the planet even if they are being mistreated, or if their fellow Muslims are being mistreated. Realistically, however, Demba Ba and Mohamed Sissoko and any other Muslim sports stars who come to China will not experience the same discrimination, harassment and abuse that minority populations of Muslims in the country will experience. How those star athletes respond to that which doesn’t directly touch them will be the real test of their character, more telling than any challenge they’ll face on the field.